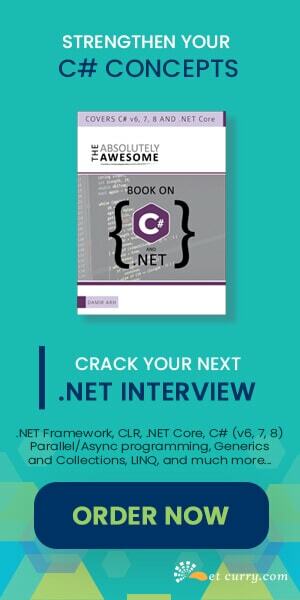 New generation of web applications developed using ASP.NET and ASP.NET MVC can provide excellent user experience with the help of client-side frameworks and libraries like jQuery, Knockout.js. Recently I came across a requirement where we had to implement inline editing and CRUD operations on Tabular data. The requirement was to display all records in an HTML table, and allow users to add a new row as well as Edit and Delete records. In essence, functionality similar to like what we used to do earlier in ASP.NET GridView, but it had to be done in an ASP.NET MVC application preferably without un-necessary postbacks. In this sample today, we’ll look at how we can implement this behavior in an MVC 4 application. Step 1: Open VS 2012 and create a new MVC 4 application using the Empty project template and name it as ‘MVC40_Editable_Table’. Step 3: Build the project. In this project, add a new ADO.NET EF in the Models folder name it as ‘ApplicationEntities.edmx’. - In the wizard, select the Application.mdf database as created in Step 1. - Select the EmployeeInfo table created in Step 2. - You can keep all other defaults as is. Step 4: Build the project. In the Controllers folder, add a new API Controller based upon the ADO.NET EF entity just added in the Step 3. Name it as ‘EmployeeInfoAPIController’. Here you will get all the methods mapped to HTTP GET, POST, PUT and DELETE. Step 5: Add a new Empty MVC Controller in the Controllers folder of name EmployeeInfo. Here you will get an Index action method. Add a new (Index) view in the application using the Index action method. Here you will get Index.cshtml. · S1 defines the Flag IsNewrecord that checks whether the current action is for New Record or for Editing an existing record. · S2 describes The loadEmployees method, makes an AJAX call to a WEB API service that reads and fetches all the Employee records. Once these are received on the client side, they are added to the Employees observableArray. · S3 defines the client side Employee object and its fields. This is used to PUSH the new record to the Employees observableArray. · S4 defines the EmpViewModel which used to initialize templates. The initial value is set for the readonlyTemplate. · S5 The currentTemplate method is used to maintain the current template type (i.e. readOnly or Editable). · S6: The addnewrecord method is used to push new Employee record in the Employees observableArray. This method also sets the IsNewRecord flag to true. · S7: The saveEmployee method is used to either save New or Updated employee rows. This makes either an HTTP PUT or POST call to the WEB API based on the IsNewRecord flag value. · S8: The deleteEmployee method is used to delete a record using and AJAX call to WEB API using HTTP DELETE verb. · S9: The reset, method is used to reset the template to readonlyTemplate. This removes the Edit effect from the UI. The Html Table is bound with the currentTemplate method and iterates through the Employees observableArray. The above two templates are bound with the Employee objects’ properties. The readonlyTemplate will be displayed in the HTML table by default. This template contains ‘Save’ and ‘Delete’ button. When the end-user clicks on the Save button for a specific row, the readonlyTemplate is replaced by editTemplate. Now the end-user can update the employee details and when the Save button is clicked, the record will be posted to the server. That wraps our implementation, now let’s see how it looks. And you can change values of the row and click on ‘Save’, the record will get updated. Similarly you can test Delete as well. We saw how to achieve client side interactivity for doing CRUD operations, inline, on Tabular Data. 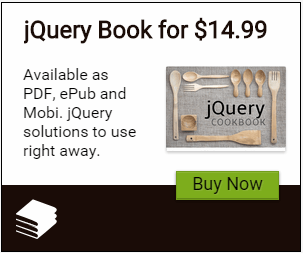 This is a common requirement in LoB applications and as we saw it’s rather easy to achieve using jQuery and Knockout JS.